The Pole Creek Fire has burned a little more than 101,000 acres, equal to about 157 square miles. 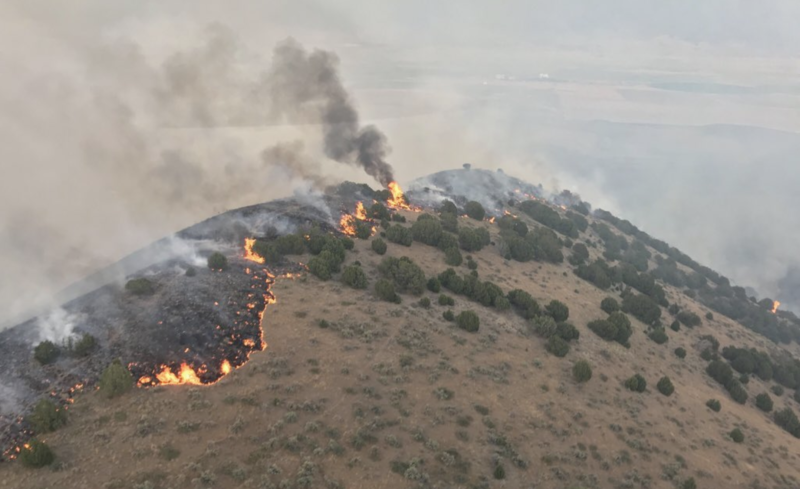 Most of the personnel — 1,510 — are members of the Type 1 teams fighting the Bald Mountain and Pole Creek fires, which together have charred 120,448 acres, or 188 square miles, in the Uinta-Wasatch-Cache National Forest. 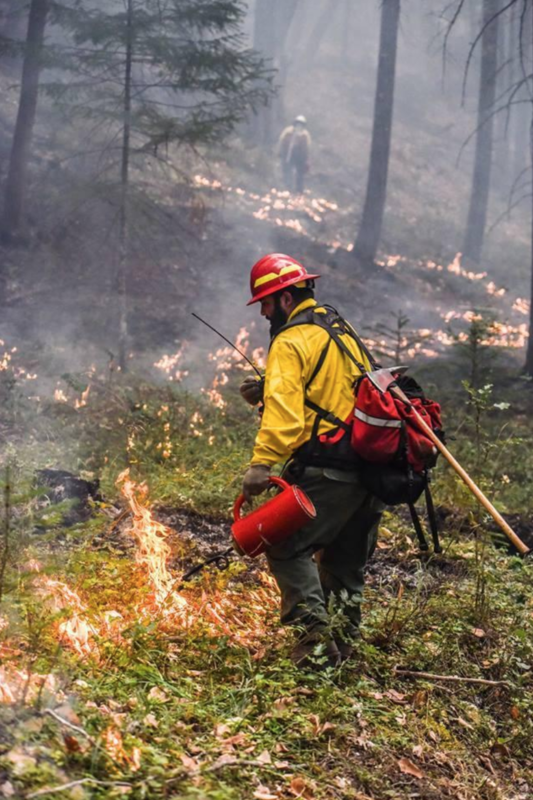 Type 1 teams are assigned to the most severe and complex fires, and so far they have been able to bring the Pole Creek fire to 55 percent containment. The firefighters were able to gain ground on the Bald Mountain overnight and now report it as 71 percent contained. The weather has cooled dramatically (Indianola spike camp experienced 21 degree lows this morning!) and the #PoleCreekFire and #BaldMountainFire activity has also calmed down. However, you will still see smoke - the air quality forecast can be found at https://t.co/PrsaFRPZd5. 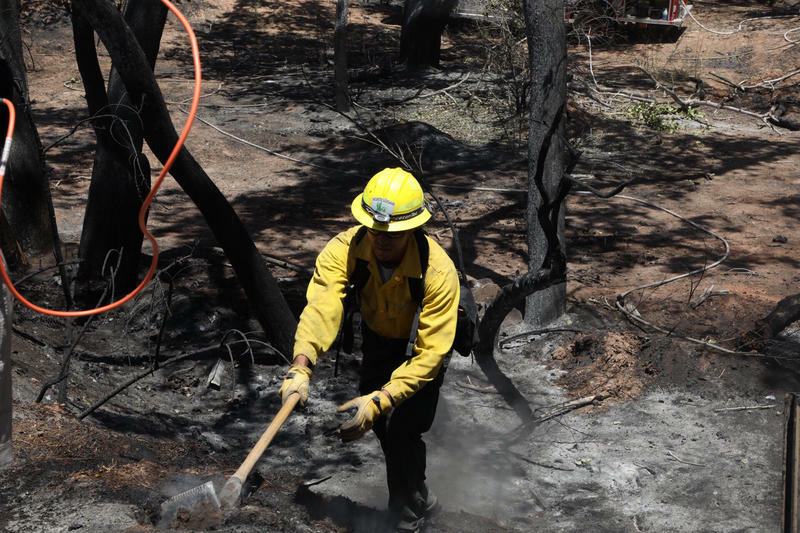 Together, the two large fires have racked up costs of nearly $26 million. They displaced thousands of people in Utah and Sanpete Counties for a week. 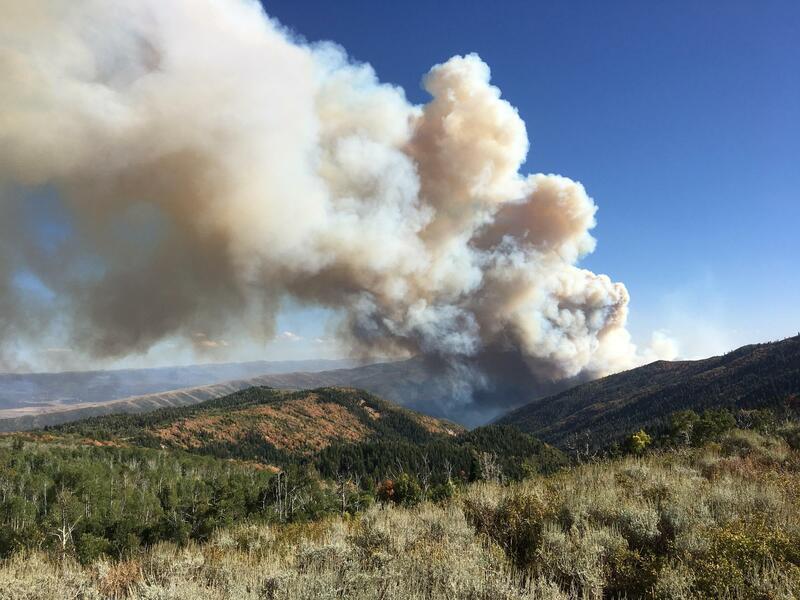 The Utah County Sheriff's office lifted evacuation orders for Elk Ridge and Woodland Hills, although pre-evacuation orders remain in place. Other evacuation orders remain in place in Covered Bridge, Right Fork Hubble Creek and Diamond Fork. Cooler temperatures and higher humidity that began this week is already helping firefighters make some headway. And a community updates are planned this evening in Indianola. Fighting fire with fire on the Bald Mountain Fire. “This is a hard fire to fight” due to steep terrain and strong wind gusts that fan flames and ground firefighting aircraft, Gov. Gary Herbert said Friday. “We have a lot of structures in the pathway of the fire and that could be very, very devastating if we can’t contain it,” Herbert said. No homes have been affected so far, but on Thursday the fire melted part of a fence near a home. The Pole Creek Fire was sparked by lightning on Sept. 6. After days of dry weather conditions and wind, the fire exploded on Thursday and grew over the last two weeks. 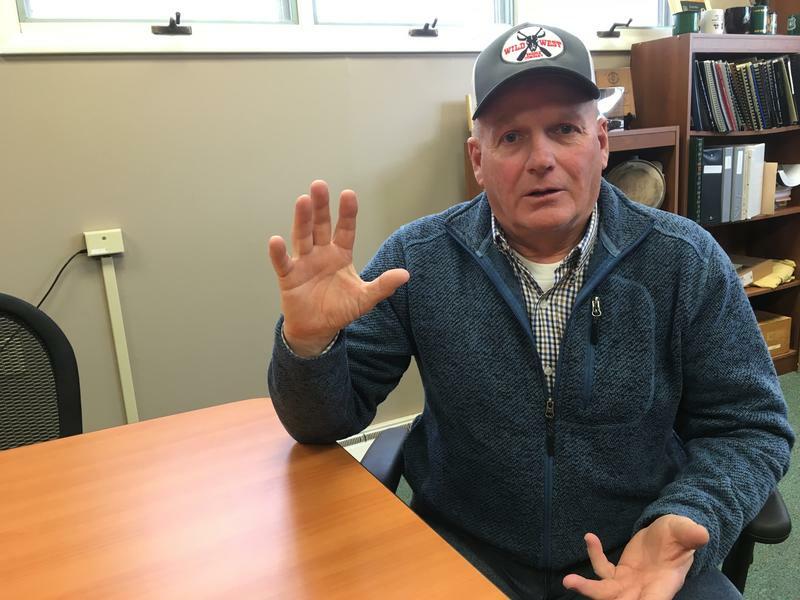 Several state and local officials have criticized the U.S. Forest Service for allowing the fire to burn for several days early this month before it doubled in size last week.